Korean Bunjae Museum Part 2. It’s been a busy few weeks so I apologise for the lack of posts. Hopefully I can post a bit more regularly now. This post I will share a few more photos from the Korean Bunjae Museum. 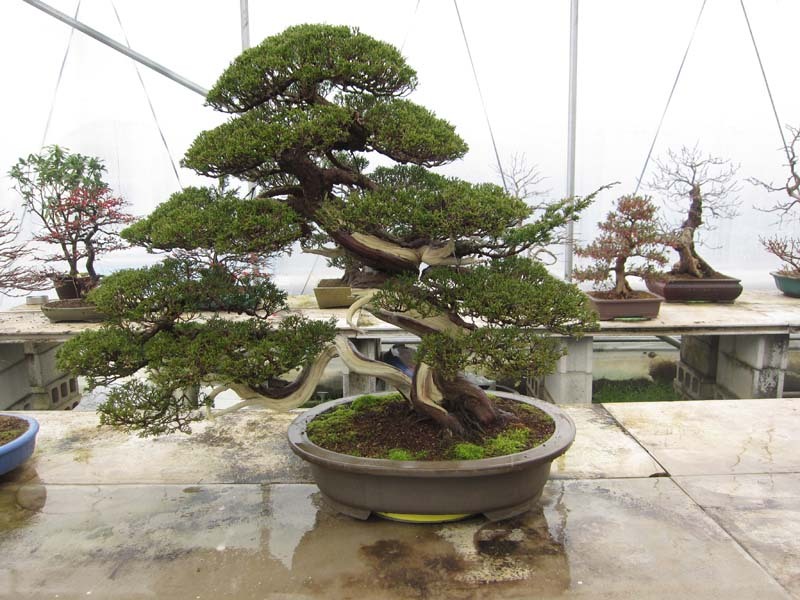 You can see in my earlier post, some of the amazing man-made stones that were on the outside of the massive green houses in which the bonsai were sheltering from the sub-zero winter chill. In this post we will explore one of those green houses. 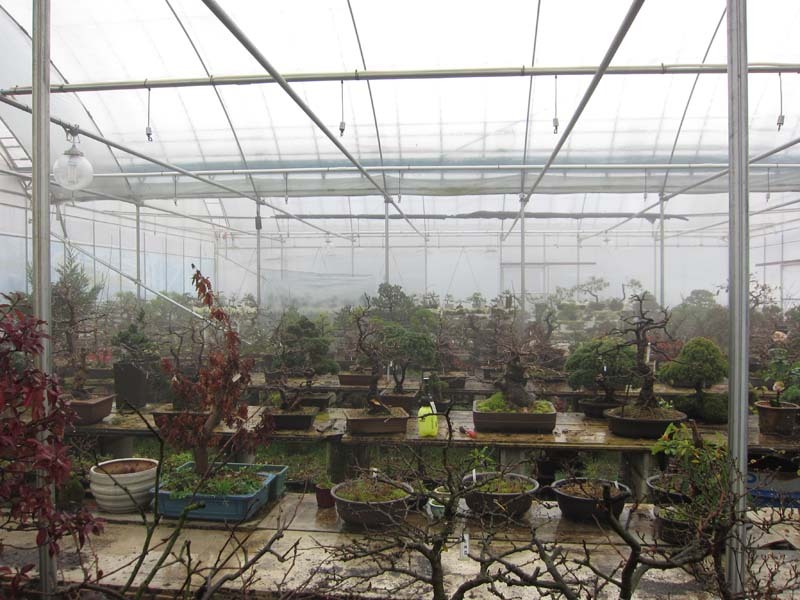 What was interesting about this nursery was how it was run. 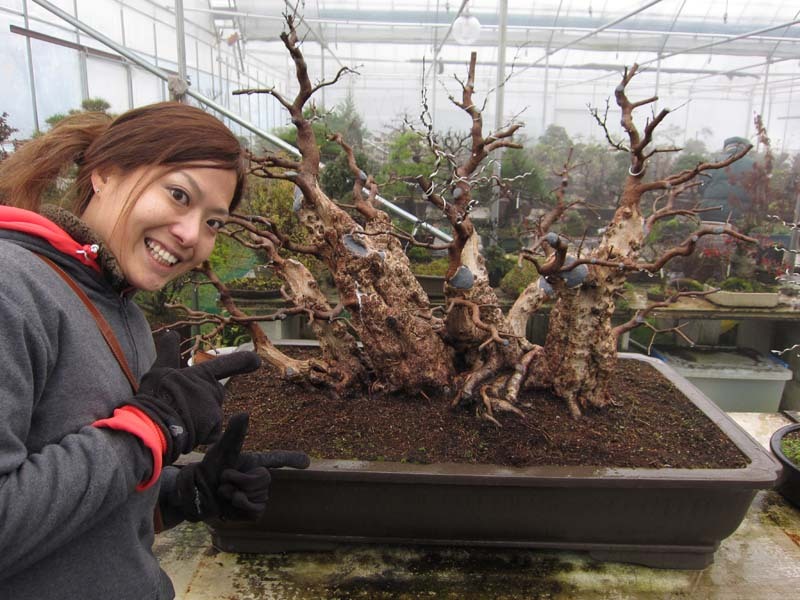 In the Japanese nurseries I have visited the trees that were living within the nursery either belonged to the nurseryman or a customer but nearly all the work was done on the trees by the professional nurseryman. 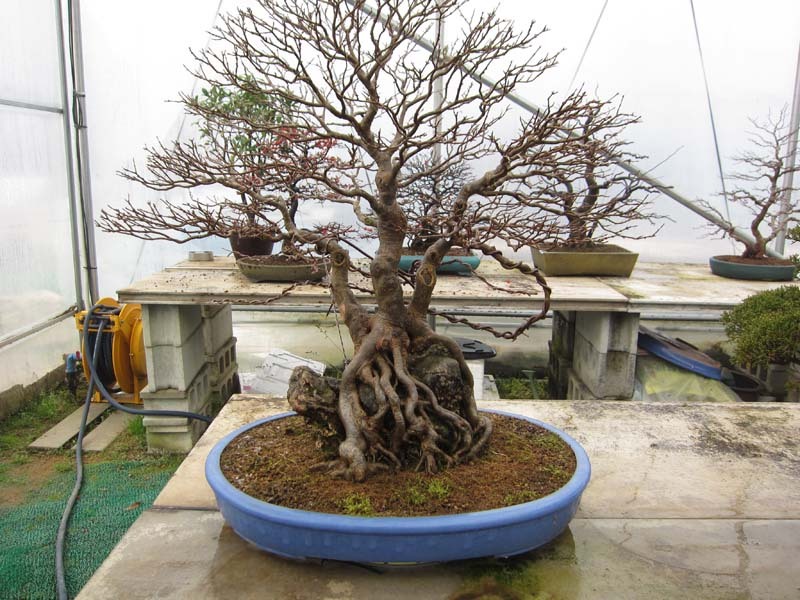 Here in the Korean Bunjae Museum, hobby growers could rent bench space and grow their trees as they liked while enjoying the luxuries of a nursery such as misted green houses, regular watering, and a professional grower on site to call on for advice and or lessons etc. It seemed like a really good system and one I could see working well at other places. To imagine the ease at which you could take holidays without having to organise someone to water or without having to move the collection to a friends backyard makes this nurseries system seem like a great idea. Now just because the growers in this green house were hobby growers it didn’t mean the trees were of a sub standard level. In fact there was a whole range of standards of trees many of which were very high leveled. The tree above was one of the first to catch my eye with its excellent root spread. 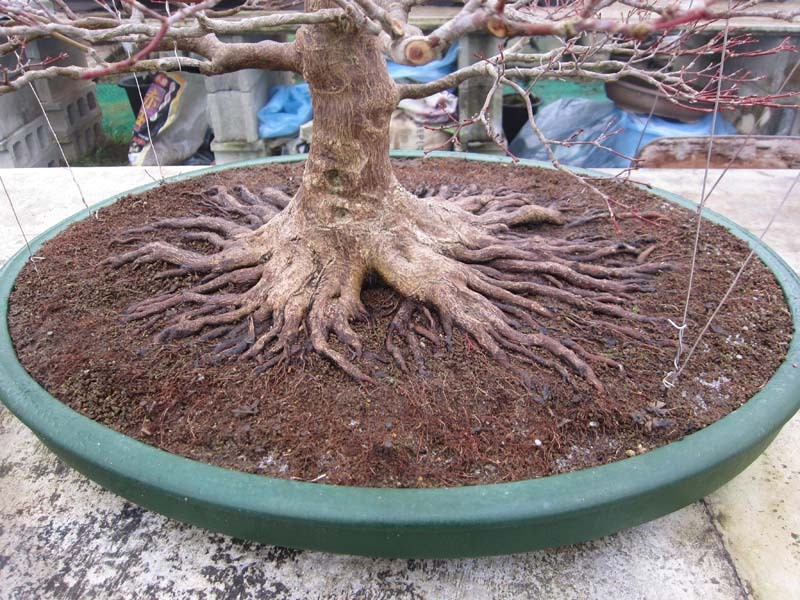 I am sure that most of those roots will fuse into a solid plate at some stage but for now the individual roots look amazing! Thee tree in the round. 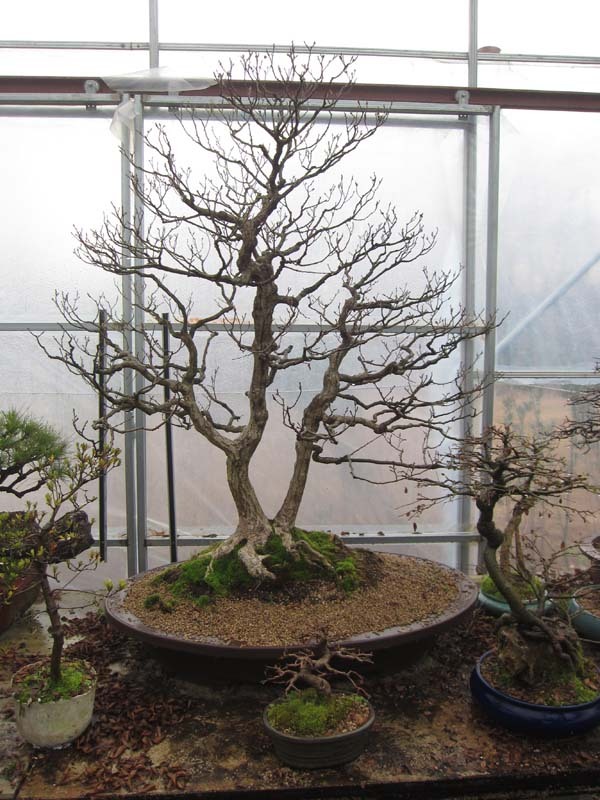 And I guess I couldn’t make post about a Korean bonsai nursery without having a picture of a Korean Hornbeam. There was also no shortage of junipers. 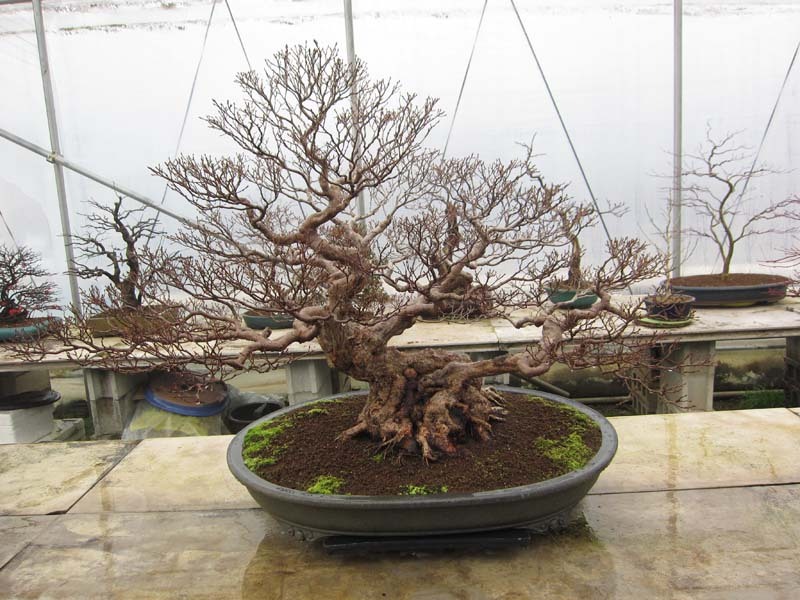 What was particularly interesting was all the raw material that was growing between the more finished bonsai. 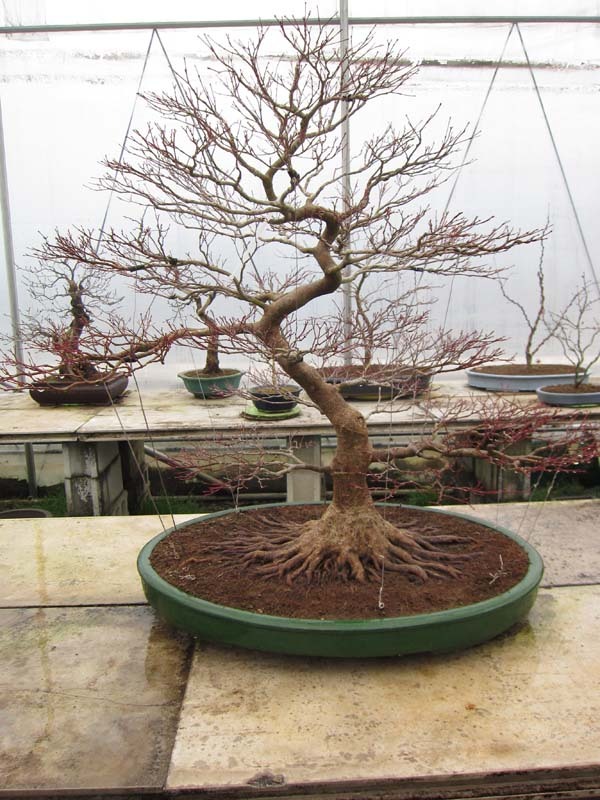 A trident maple (I think, maybe a korean maple of some type?) with a thread graft. A few more pics and in the gallery below. The next post will be on the second, larger green house which is where the Korean Bunjae Museum collection was sheltering out the winter. It was a huge space, packed with trees so stay tuned.